Chilaquiles are a Mexican brunch dish that will really wake you up! 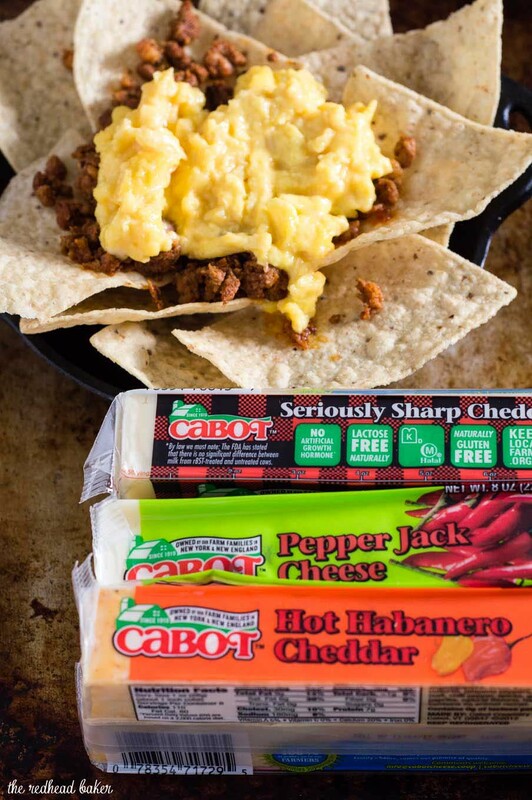 Tortilla chips are topped with scrambled eggs, spicy chorizo, salsa and cheese. Today, I’m sharing a faster version of a Mexican brunch dish called chilaquiles. 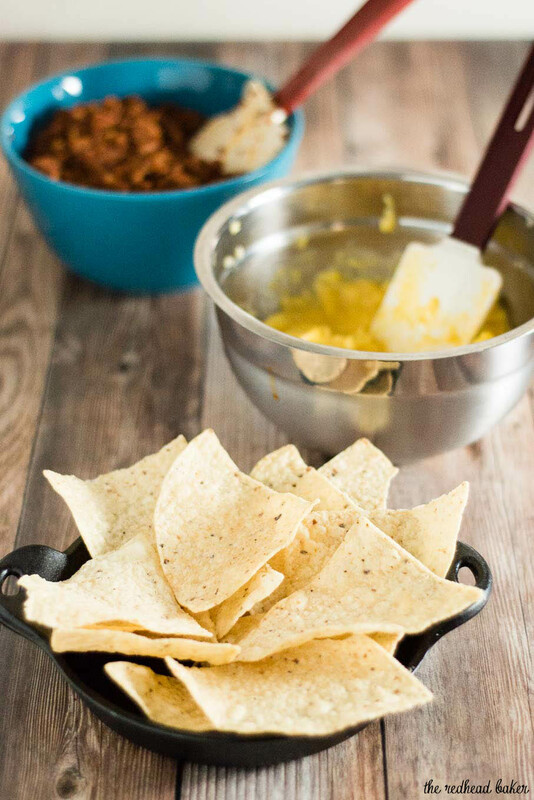 This one uses store-bought tortilla chips rather than frying corn tortillas in oil. I recently had a similar dish at a Philadelphia restaurant. I normally go for sweet brunch dishes like pancakes or French toast, but I decided to go for something different, and I’m so glad I did! The tortillas are topped with Mexican chorizo, a spicy pork sausage, often found in your grocery store with the other meats and sausages. 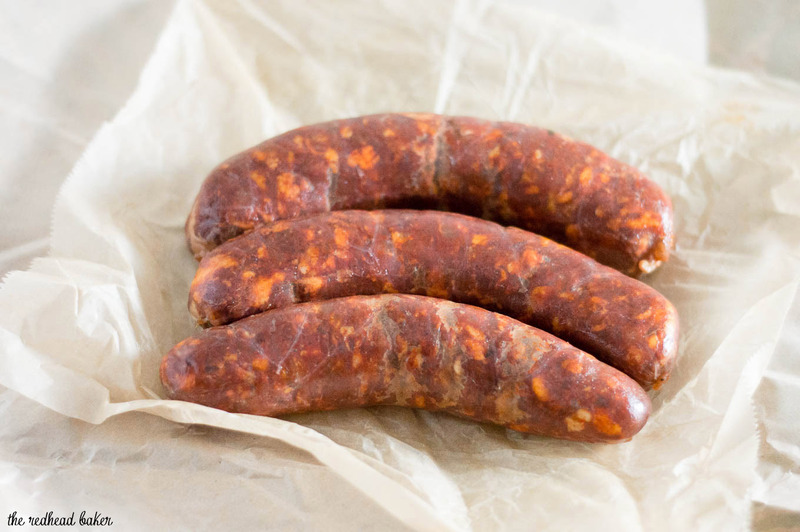 Don’t confuse it with Spanish chorizo, which is cured and does not need to be cooked. It is often found in the deli section of the grocery store. Some chilaquiles con huevos recipes call for fried eggs, and you can certainly go that route if you like. 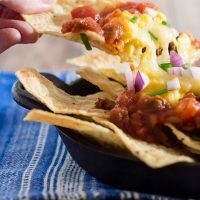 I prefer scrambled eggs, and I would think it would be difficult to cut up the fried egg with the tortilla chips (unless you prefer to use a knife and fork, though this recipe is designed to be eaten with your hands). I used Cabot Creamery Seriously Sharp Cheddar Cheese, though they generously sent me quite a few options that would be equally delicious in this recipe. If I weren’t already using spicy chorizo in the recipe, I might have chosen the Hot Jabanero Cheddar or the Pepper Jack. I served my chilaquiles in mini cast iron serving dishes. I love them for serving guacamole or other condiments. If you can’t find them, you could make this as one big dish to be shared in a standard-size cast-iron skillet. I love that these are so customizeable. As mentioned above, you can use fried eggs instead of scrambled. Use carnitas, shredded chicken or black beans in place of the chorizo. Change up the cheese. Use salsa verde instead of traditional tomato salsa. Add sliced avocado instead of red onion. Make it your own! Ready to enter the giveaway? Click on over to my giveaway page and read about the prize packages and how to enter. Fill a small bowl halfway with ice water and add the diced red onion. Set aside for at least 10 minutes. This mellows out the sharp bite of raw red onion. Heat a stainless steel skillet over medium heat. Add 2 tbsp of vegetable oil, then add the chorizo sausage. Cook, breaking the sausage up with a spatula, until no longer pink. Remove the chorizo to a small bowl and set aside, tent with foil to keep warm. Wipe the skillet. Re-warm the skillet over medium heat. While the skillet is heating, beat the eggs. Once the skillet is warmed, add 2 tbsp of olive oil and swirl to coat. Add the eggs, and cook, stirring constantly, until mostly set. Season with salt and pepper. Remove the eggs to a plate, tent with foil to keep warm. Preheat your broiler. 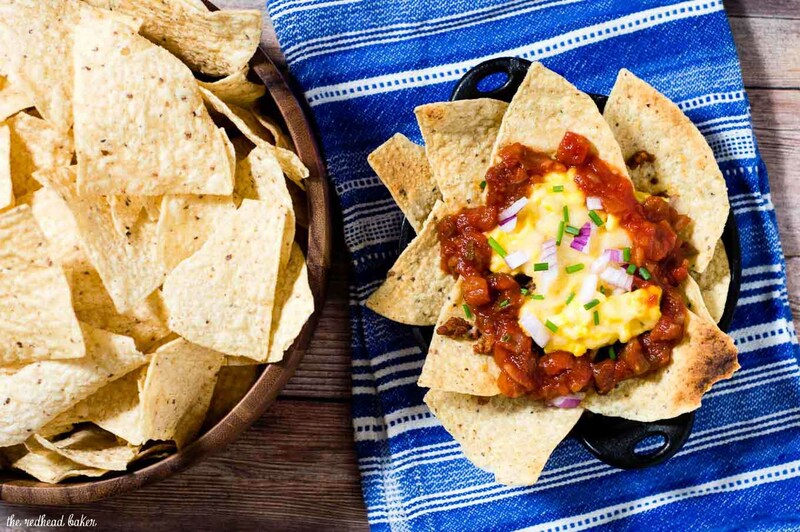 Line 4 cast-iron mini serving bowls with tortilla chips. Add about half a cup of the chorizo sausage, then top with 1/4 of the scrambled eggs. Top with 1/4 cup of the shredded cheese. 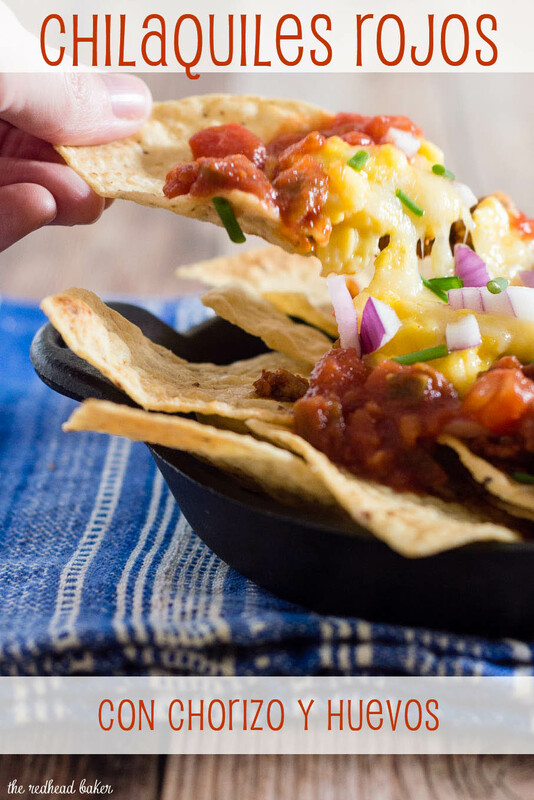 Arrange the mini serving bowls on a sheet pan, and place under the broiler for about a minute, or just until the cheese melts. Drain the red onions. Spoon salsa and a tablespoonful of the red onions over the chilaquiles and serve immediately with sour cream on the side. Previous Post: « #BrunchWeek 2017 is here! I love that you made single servings in little cast irons! The presentation is perfect. 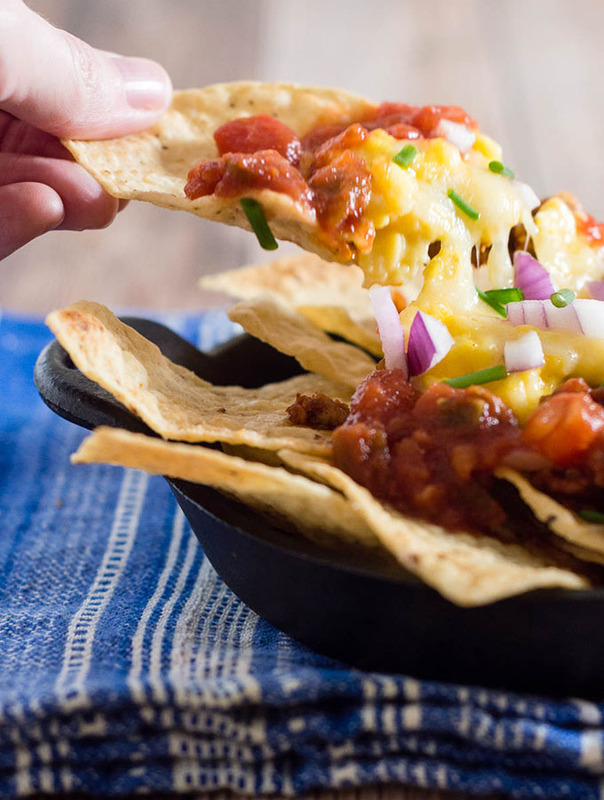 Nachos for breakfast sign me up, yum! I am in love with all breakfast items that are southwest or latin american. They’re so delicious, hearty, and full of spice! This looks amazing.